Circassian activist Ruslan Gvashev has declared indefinite hunger strike in protest against the court's decisions in the case on the prayer near the Tulip Tree. 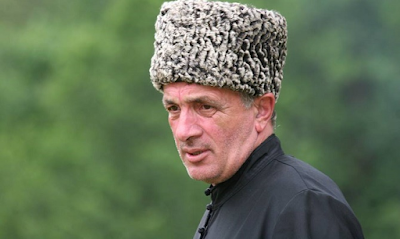 The "Caucasian Knot" has reported that on August 30, the Lazarevskoe District Court of Sochi reconsidered the case on the prayer on the Adyg Remembrance Day and upheld the administrative fine imposed on Ruslan Gvashev, the former chairman of the Circassian Shapsugs Council. An advocate of the activist has promised to challenge the court's decision. Today, on his Facebook page, Ruslan Gvashev has announced the beginning of his hunger strike. "Here and now I, Ruslan Gvashev, announce the beginning of my indefinite hunger strike! This is my protest against the injustices against my people and the trial court arranged by the authorities against me personally," Ruslan Gvashev wrote. The hunger strike is an activist's emotional reaction to the actions of the judiciary system, says Marina Dubrovina, an advocate of Ruslan Gvashev. "His hunger strike is an emotional reaction to the actions of the judiciary system. Ruslan Gvashev takes a firm position concerning the continuation of the struggle at the regional court and the European Court of Human Rights (ECtHR). The activist wants to proceed and achieve justice," Marina Dubrovina told the "Caucasian Knot" correspondent.